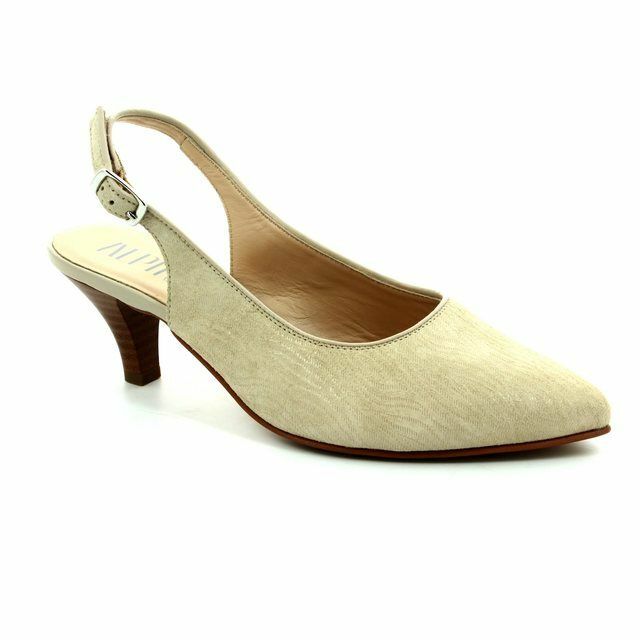 Lotus shoes excel in creating beautiful occasion shoes - and the Arlind style is a prime example of this. 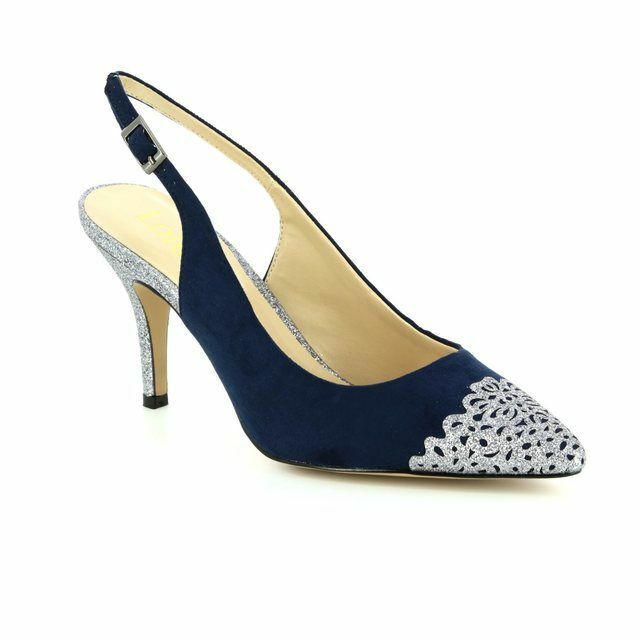 A stunning, soft navy suede upper has been adorned with a fabulous silvery metallic brocade toe cap and sparkly covered heel. A must-have for your wardrobe this season! The Arlind style would give any occaison outfit a touch of wow! factor - especially when worn with the striking matching bag, Fidda Arlind. 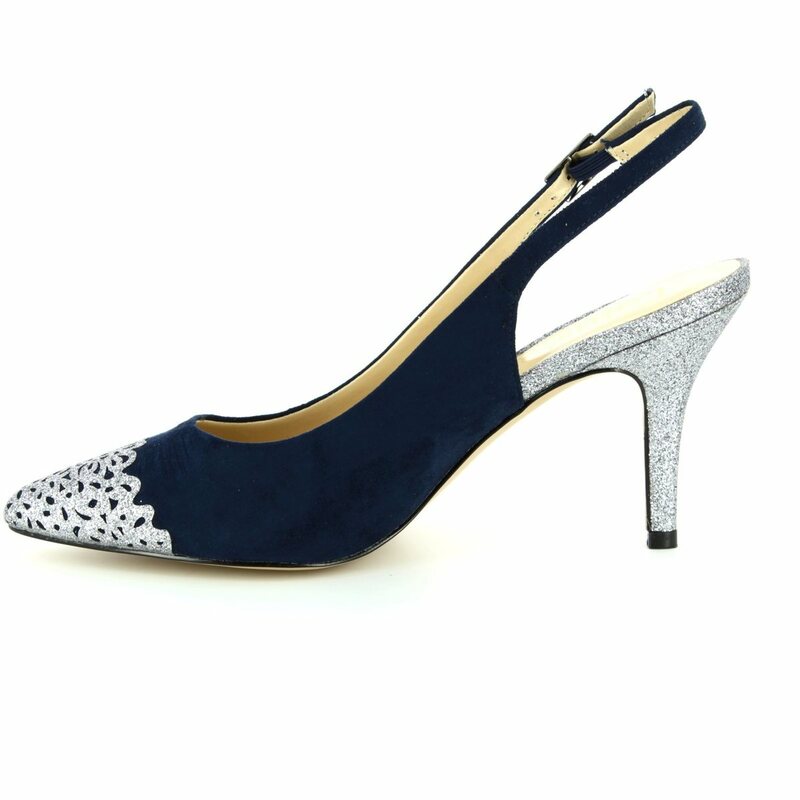 Team these high heels with navy or compliment with a contrasting coloured outfit from slim trousers to skirts or occasion dresses. 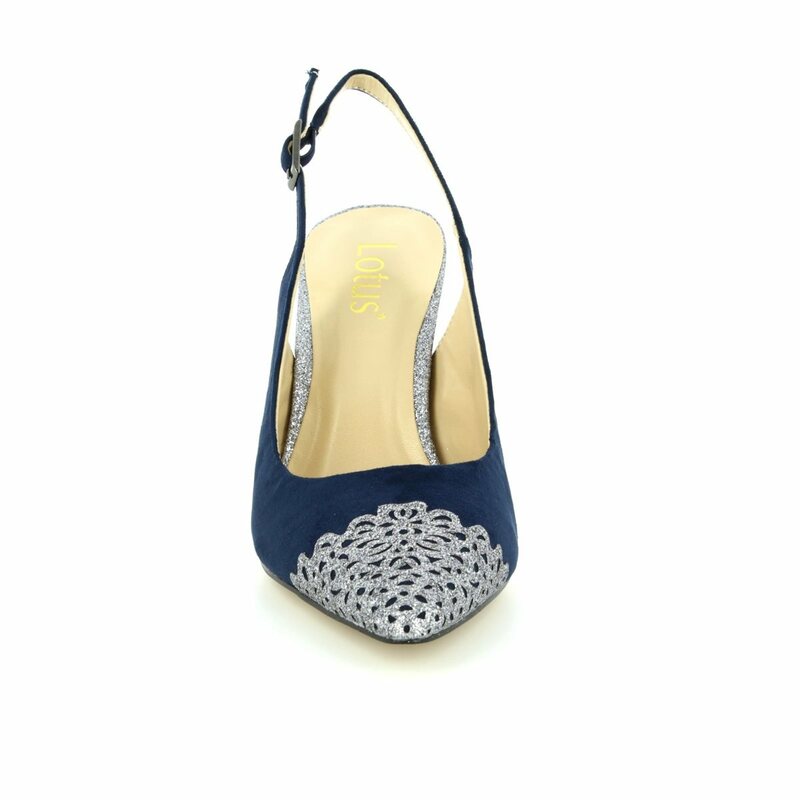 Buy your Lotus shoes online from Begg Shoes and Bags who are a stockist of Lotus shoes and bags.